Not everyone finds it easy to save for college. Life intervenes. A my529 account can help. 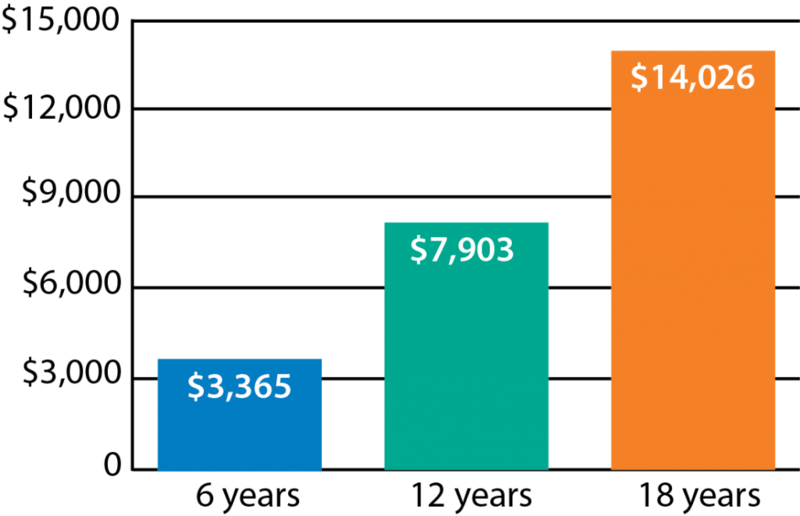 Even small sums set aside regularly over time help make higher education more affordable. Each dollar saved is a dollar you don’t need to borrow and repay with interest. ¹ All numbers are my529 estimates. Earnings on a my529 account assume a contribution of $40 at account opening and a 5 percent rate of return compounded monthly over 18 years. 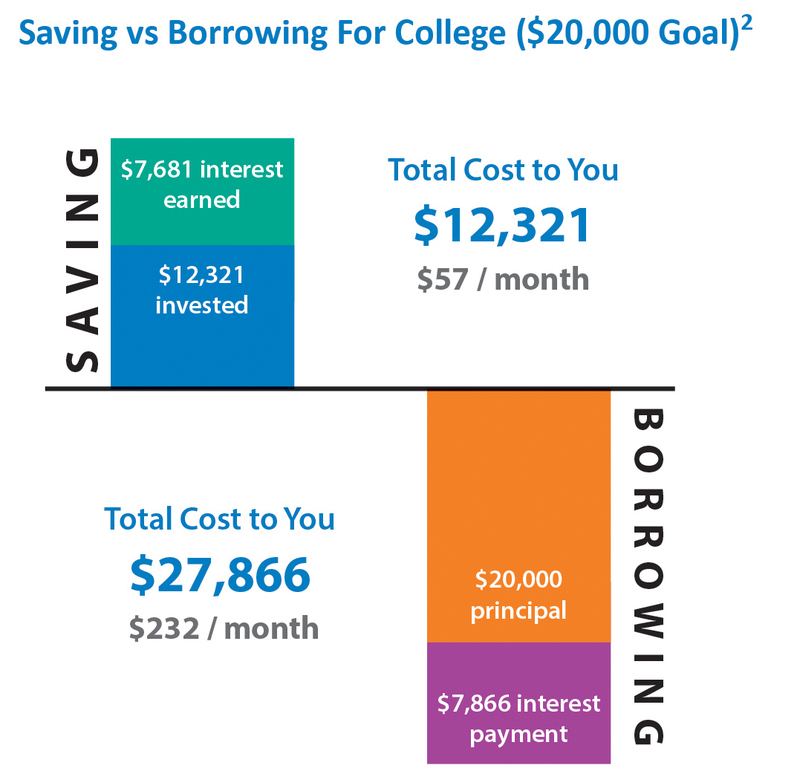 Another perspective on the benefits of saving is found in the graphic below, which shows the difference between saving toward a goal of $20,000 and borrowing $20,000. It is always less expensive to save than to borrow. ² All numbers are my529 estimates. Earnings on a my529 account over 18 years assume a contribution of $57.04 at account opening and on the first day of each month, with a 5 percent rate of return compounded monthly. The monthly loan repayment assumes a 7 percent interest rate and a 10-year repayment period. Numbers are rounded. This chart is to be used for illustrative purposes only.